Farmers usually work on large portions of land to grow different types of crops. It is not always possible for one person to be able to keep track of the entire farmland all the time. Sometimes it may happen that a given patch of land receives more water leading to water-logging, or it might receive far less or no water at all leading to dry soil. In either of the cases, the crops can get damaged and farmer may suffer losses. 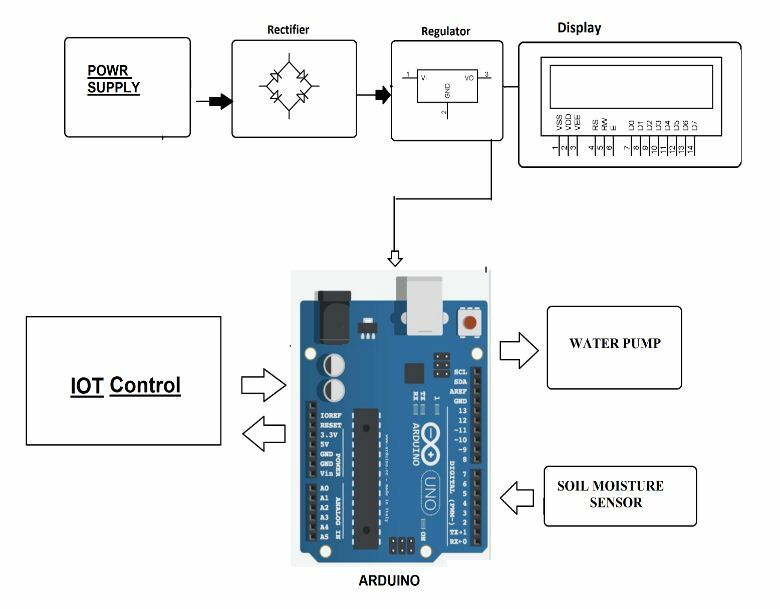 So in order to solve this problem, we propose an “IOT Irrigation Monitoring and Control Project”. 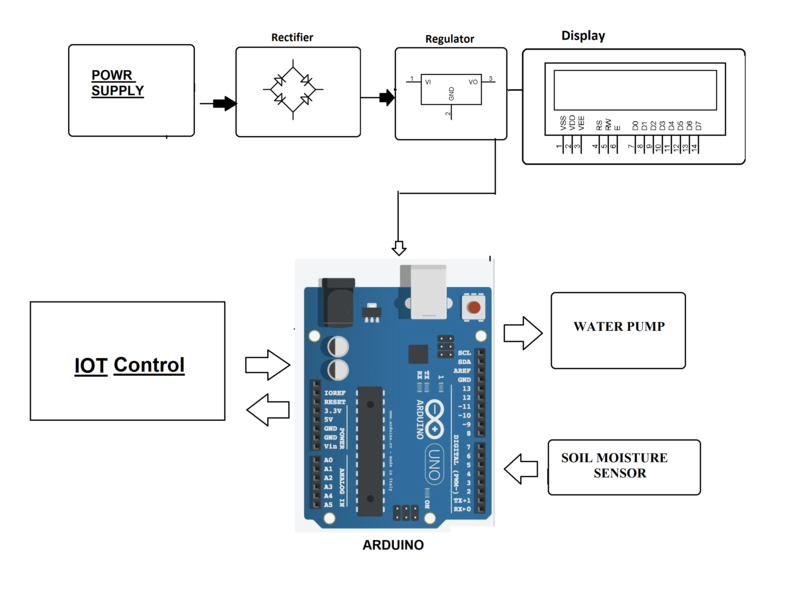 This is a very useful project wherein, the user can monitor and control the supply of water from a remote location. 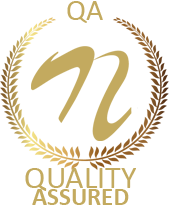 This system makes use of a concept called IOT (Internet of Things). So for our project, we connect our system to the internet using a Wi-Fi module. 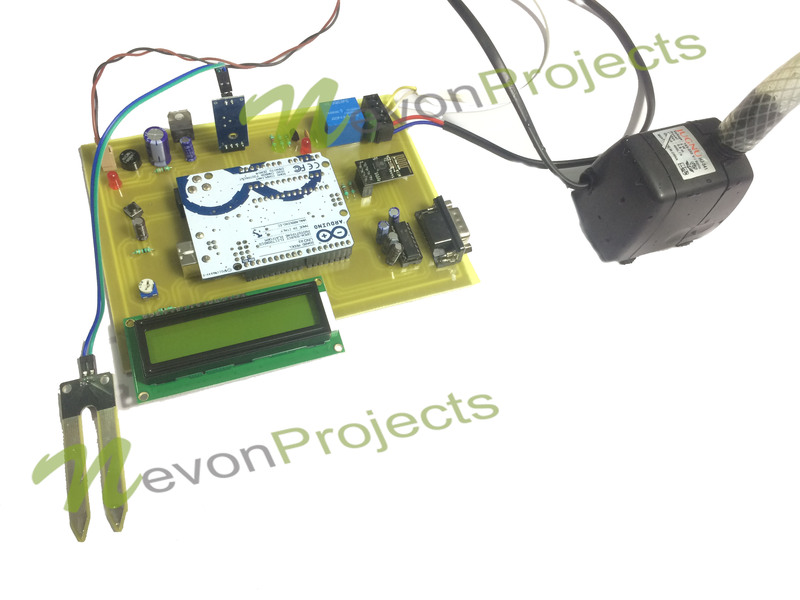 We use an Arduino Uno board to send the control signals and to connect to our desired website. The circuit keeps checking the moisture content of the soil by means of a moisture sensor, and updates the “Moisture level” on the website. 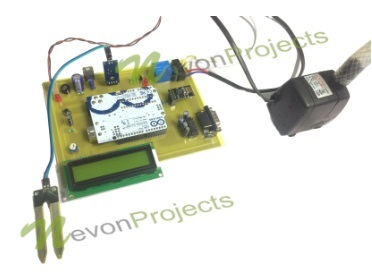 The user can then check the current moisture level from a remote location and control the water supply. For this, the user only has to toggle the “Motor status” from ‘ON-OFF’ or ‘OFF-ON’; and the “water pump” will be ‘turned ON’ or ‘turned OFF’ accordingly. Thus the ‘soil-moisture’ gets monitored and the ‘water supply’ can be controlled just by the toggling the “Motor status”. So the user doesn’t have to worry about his crops or plants getting damaged due to ‘water-logging’ or ‘drought’. This system can also be useful for people having small gardens, while it may not be possible for a person to be continuously present at his/her garden but one can use this project to keep a track of ‘soil-moisture’ and ensure proper water supply even from a distance.